“It never made sense to me that the person you are day to day should be uncoupled from the person you are at church,” said a man to me as we sat at lunch today. I couldn’t agree more. What radical teaching! To wholly devote oneself to God? To give over our emotions, our desires, our intellect, and our energies to God? To care for strangers like we care for ourselves? That’s just too much, right? I mean, this would drastically change the way most of us live! 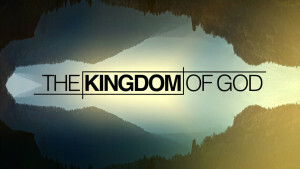 Not far from the Kingdom of God…. As my conversation with my lunch partner continued, a background thought began to swim across my mind, “it is a radical thought to the world that being a Christian should affect every area of our lives.” I’m afraid it is even a radical thought to many churches that serving Christ changes everything. Yet this is exactly what Christ taught. He called his followers to yield their careers, their families, their homes, their reputations, their present and their future to His direction. “Follow me!” was his beckoning call. “Except a man deny himself, and take up his cross, and follow me, he cannot be my disciple.” he said. When the church was established by the outpouring of the Spirit on the day of Pentecost in Jerusalem, and thousands were added to the church daily, such as should be saved, men and women willingly gave all they had – they allowed their commitment to Christ to touch everything, holding nothing back. My lunch partner was right. The doctrine Christ preached of serving God 24/7 was in sharp contrast to the religious leaders of the day who proclaimed God with their lips on the Sabbath, and denied God in their hearts and in their actions the rest of the time. Christ is still calling for full time, reckless devotion to God. Greater than the sum of all our efforts, greater than what we may sacrifice or give, deeper than what people can see, He wants the sincere commitment of our hearts. And He will give us the Kingdom.